Tis the season of love, giving, peace on earth, good will to men. 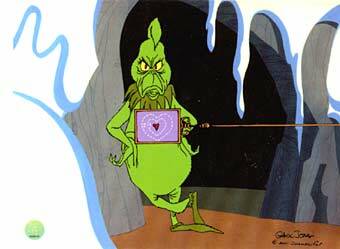 But just as a series of small, heartwarming events grew the heart of the Grinch; afew trifling events will transform the most cheerful of elves into Ebenezer Scrooge. Every year I become possessed by the Ghost of Christmas Perfect. I dutifully start producing cookies of every variety just after Thanksgiving. By December, my shopping list is complete . A fully decorated tree is in every room large enough to furnish one, smaller rooms have mini trees or wreaths, with each bow and candy cane in place. Christmas music playlist ready on the ipod, and the DVD’s ready (White Christmas, A Christmas Story, Polar Express, It’s A Wonderful Life, Christmas Vacation, and a full array of clay-mation….). That’s right, bring it on Martha! So what would make the mild demeanor of Bob Cratchett crack like peanut brittle? Fi-Fi. I recently professed to all that we did not have any real issues with the girls’ Incubator Mom, FiFi. She has no custodial rights and lives 1,329.6 miles away, based on last known address and Bing Maps. FiFi has managed to maintain communication when convenient, sometimes for months at a stretch before some apocalyptic event descends from the heavens to victimize her. And only her. Forcing her to move, change numbers, and re-surface weeks later. I spoke too soon. Ever notice this is what people say when they are trying to avoid admitting how blatantly wrong they were? Ghost of Christmas Past will now transport us back to last season: Just days before last Christmas, we received a desperate call asking for help. She wanted to send the girls gifts, but had no money and time was running out. Being the colossal Schmucks we are, agreed to put afew gifts under the tree from her. That is Schmuck with a capital S.
I know. And don’t think I can’t see all of you rolling your eyes! At the time it seemed like the right decision in their best interest, though looking back I’m not sure why. It has been years since any physical contact has been made. Plans to bring the girls to her are thwarted by excuses of “I’m staying with a friend, I can’t have them here” or “I don’t know where I’ll be in acouple weeks”. We’ve given up, we’ve put forth much more effort than legally required. At one time, Holly would occasionally ask about her mother’s where-abouts or to call her (which we tried to accommodate). Those inquiries have stopped long ago. They no longer harbor any expectations. Heartless as this all may seem, I cannot describe what the girls have gone through. For example, when we decided to mail school photos to FiFi, and it occurred to me she has not requested pictures of them. She does not ask for them to send artwork, and becomes aggitated when they sing or read to her over the phone. We can only be concerned with the girls’ viewpoint. This is where it really gets stupid. (No, last year wasn’t misguided enough.) Fi-Fi has called to ask of her precious angels “what would you like this year?” Does she realize that this simple question immediately puts the assumption in the mind of a child “I’m gettin’ something!” Does she care? Has she yet secured a means of employment to produce these implied promises? Have we just been set up? Again?!? Luckily the girls had not yet a formulated their ‘Wish List” before her first call, so it bought us alittle time. We decided to have the girls request of her items that would be easier to mail and not of the “big-ticket” variety as we knew it would not be possible to be produced. We were trying to be reasonable while protecting the girls from disappointment and covering our bases should we find ourselves on the hook to “help”. Again. This is where total ignorance kicks in. Fi-Fi’s self righteousness reared its ugly, paranoid head and has also accused us of sabotage. That’s right. The woman never lacking in new clothes or fake nails but cannot scrape together money for a visit, expects us to now secure her place under our Christmas tree. Oh Hell to the NO! Clark calmly explained she is under no obligation to stick to “The List”, could ask for more ideas, or send whatever she felt the girls would like. And had we asked of her to buy Holly a piano, she would have accused us of setting her up to produce gifts we know she could not afford. Did she think we were going to buy them whatever their hearts desire only to make her look bad in comparison? Tempting, but ruining Christmas and their self-esteem is not worth the pettiness of demeaning her. Nor do I need to put forth the effort when she does this well enough on her own. Don't mess with my XMas. I thought it would help me appear less sinister. Exactly why i go through all the hoops – trying to build up what I feel I’m “supposed” to feel for the season. We make a point to do “toys for tots” etc but even that has brought me to tears thinking of kids growing up watching others getting spoiled rotten & knowing their families are hurting. I cant even image what thats like. My son working in nursing sees alot of people alone for the holidays as well & its a real reality check. I wonder if we do more harm -making childhood too carefree so that when the outside world starts creeping in its that much harder to take. I appreciate all you said… I dont understand why we only “act” this way once a year either. Thanks Tony! I would rather have honest opinions & viewpoints however Grinchy they may be, its part of why I do this. Sometimes its hard to know if I’m thinking clearly when wrapped up in everyday life. We have actually talked about trying to take a “non-material” approach, but how do you do that knowing your kids will be the only ones returning after holiday vacation answering “what did you get for xmas?” with “my stepmom says I have peace of mind knowing we dont partake in materialistic practices”. (& I really do believe the sugar high from the cookies help!) Almost forgot, I laughed at your remark re: Xmas music- I was just reading a blog on that horrible song Paul McCartney did; surprisingly bad given he wrote some great music otherwise. We put on Manhattan Transfer & try to sing along in harmony, & Chicago did a great Xmas CD as well. As I keep telling myself: Its almost over! I feel worried for your girls. I can’t remember how old they are, but imagine how it must feel for them (I know you do) to have this ghost of a mother creeping in and out of their lives. I’m sure they miss her and probably feel like they have done something wrong that is keeping her away. I’m sure it must be especially hard for you trying to do the right thing by trying to help Fifi do the right thing only to have her do the absolute wrong thing (again). I’m happy Clark and the girls have you (Clark sounds like a good guy,a s well). I hope Fifi gets some counseling help for Christmas (that probably would not go over well as a gift card). Sorry, my fault. Sometimes I see things more clearly after writing, and posted this to the blog instead of my journal, hoping it would make it all “go away”….. I know exactly what you mean regarding this post. I have been in the same shoes with my stepkids. Just this week, their mom moved while we were out of the country on vacation. When they called to share with her their experiences, she had to make the call all about her and the move. No chance for the kids to say goodbye to their friends at her old home or to be able to share about their experiences – the conversation had to be all about her and her alone. Sickening. Hold your girls tight – they’ll remember who was there for them. I love that title! Well done!